It has been just around 22 years since the first web browser was launched. Who would have thought that the world will change this much? The cloud has evolved and has a substantial amount of data and we have our personal hand-held devices to access that. More than 90% of people have mobile phones and tablets. We are now about to work on the next step of the internet and web. We need to connect our physical world to the internet. Our physical world and everything around us will be connected to the internet. So the first question is, what are the things in the “Internet of Things”? Things are anything around us, what we encounter in our daily life, machines, goods, appliances, vehicles, plants, animals we are even included in that. In the last several years many of us have heard about many Internet of Things around us. Some examples are, an Air Conditioner that we can power on from any remote location with a mobile app and an IP camera that can send pictures to our mobile devices if anyone comes to our home. The Internet of Things (IoT) is a network of physical objects that contain embedded technology to communicate and interact with their internal states or external environment. To make something an Internet of Things device we need to give it senses and provide it some unique identity so that we can communicate with it from any part of the world. There are many microcontroller boards available with which we can develop our IoT device. Choosing the right microcontroller board depends completely on your project type. Some important boards are described here. 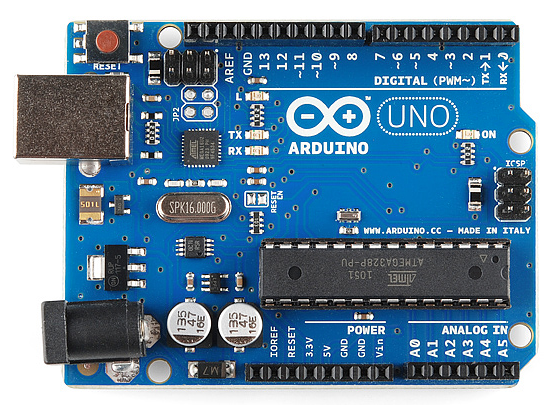 Arduino is an open-source platform used for building electronics projects. Arduino consists of both a physical programmable circuit board and a piece of software or Integrated Development Environment (IDE) that runs on your computer, used to write and upload computer code to the physical board. The Arduino platform has become quite popular with people just starting out with electronics and for good reason. Unlike most previous programmable circuit boards, the Arduino does not need a separate piece of hardware to load new code onto the board, you can simply use a USB cable. Additionally, the Arduino IDE uses a simplified version of C++, making it easier to learn to program. Finally, Arduino provides a standard form factor that breaks out the functions of the micro-controller into a more accessible package. 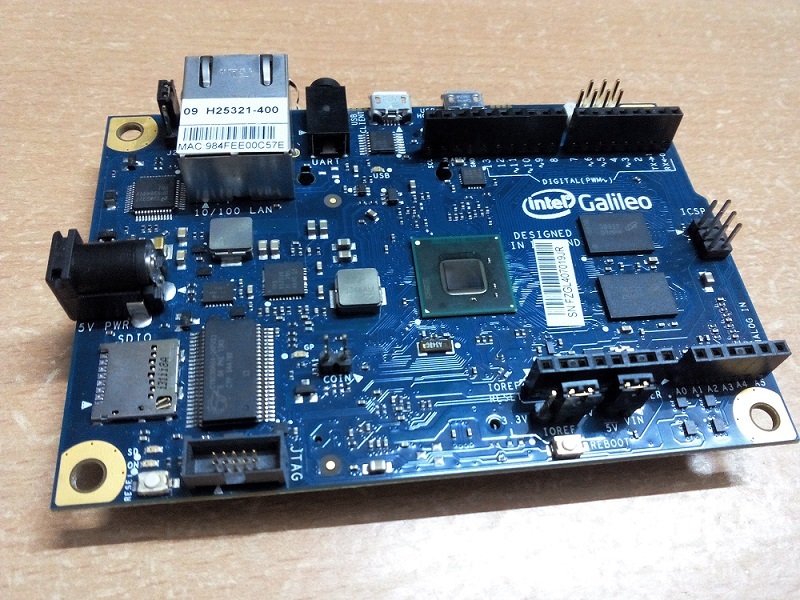 Intel Galileo is a hardware development board that lets us write code and create electronic circuits to build our own projects. The board doesn’t do very much on its own, so we need to connect it to the right hardware and write the code to tell it what we want it to do. Galileo is an Arduino compatible board but the thing that makes it different is its specs, it is a cross-pollination between an Arduino Uno and a low-end computer. If you’ve used a typical Arduino like the Uno before, there are a few key differences between it and the Galileo. The board itself is a little bit larger than an Arduino Uno, but along with that size, you get a more powerful processor with more memory to store running programs, more data storage space, an Ethernet connector for connecting it to a network and the ability to connect computer accessories using the USB port or the Mini PCI Express connector on the bottom. 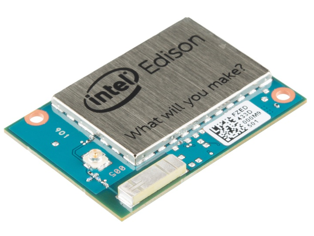 The Intel Edison packs a robust set of features into its small size, delivering great performance, durability and a broad spectrum of I/O and software support. Those versatile features help meet the needs of a makers, inventors and beginners. This is a module with a high-speed processor and WiFi and Bluetooth Radios on-board. It’s low power and small footprint make it ideal for projects that need a lot of processing power, but doesn’t need to be near a larger power source or have a large footprint. Raspberry Pi 2 is the latest addition to the Raspberry Pi family. The Raspberry Pi has been a tremendous success story, ever since the low-cost development board first appeared in 2012. 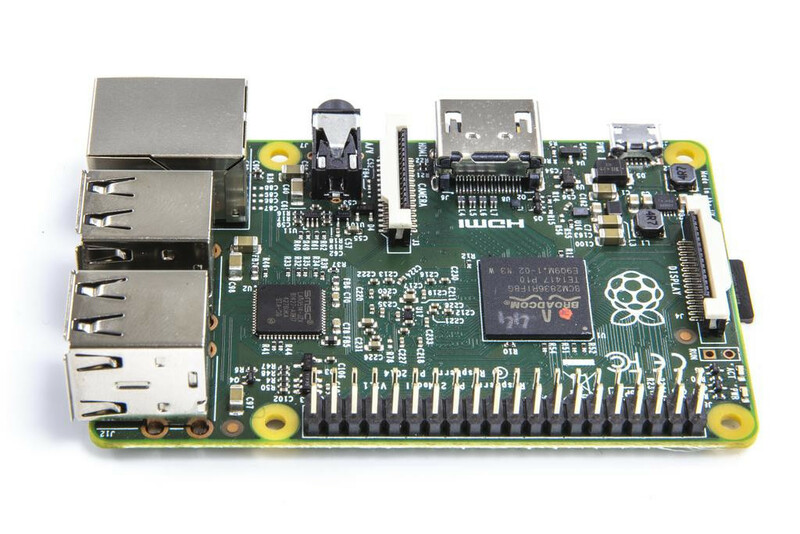 The new Raspberry Pi 2 – Model B is jam-packed with features. With a new quad-core processor and twice the memory (a massive 1GB RAM), it is 6x faster than its predecessor. It can also run on Windows 10. ARTIK is a family of modules (ARTIK 1, ARTIK 5, ARTIK 10) tailored for the Internet of Things (IoT). With a tiered architecture built for performance, optimized power consumption and memory utilization and footprint, ARTIK is designed specifically for a variety of applications, from low-end wearables to powerful hubs with local processing and analytics. ARTIK’s best-in-class security solution includes secure element (SE) and machine learning for anomaly detection and Trusted Execution Environment (TEE). ARTIK packs the future of IoT into an incredibly small frame. ARTIK 1 has the world’s smallest form factor (12mm x 12mm) in its class and can last for weeks on a single charge. ARTIK 5 uses Samsung ePoP packaging technology to offer the best combination of computing power and storage capacity at its size. With an ARM Octa-core processor, ARTIK 10 can power a smartphone or a media hub. ARTIK’s comprehensive IoT development and deployment platform includes open APIs that let you focus on new ideas for a human-centric Internet of Things. You can easily track those lost keys or a cell phone in your house using Bluetooth and other wireless technology devices. Retailers can run real-world A/B tests using networked cameras and sensors to detect how customers are engaging with specific products and the store’s layout. The smart lighting system allows a city to intelligently provide the right level of lighting needed by time of day, season and weather conditions. Cities have shown a reduction in street lighting energy use by up to 30% using solutions like this. Alarm clock might start up the coffee maker just before it wakes you. You can water your plants from anywhere when you go on your holidays.